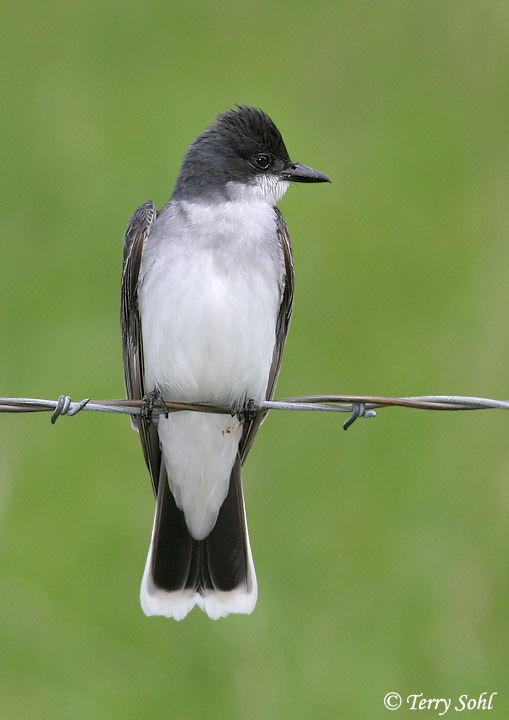 West of Sioux Falls, in western Minnehaha County and eastern McCook County, there are a number of wetlands and lakes typical of the "Prairie Potholes" region of the northern Great Plains, areas that can be wonderful for birding. Specific "hotspots" I like to check out are noted in the map to the right, but by simply driving around the area, you will encounter a number of wetlands and other birding locations. I have a route I generally take through the area, starting at Wall Lake and Dewey Gevik Nature Area. From Dewey Gevik, 462nd Avenue heading north cuts through some nice wetland habitat, About 1 1/2 miles north of Dewey Gevik is Makoce Washte prairie, 40 acres of land managed by the Nature Conservancy (east side of 462nd avenue, half a mile north of Highway 42). When I get to 462nd Ave. and 263rd street (3 miles north of Dewey Gevik), I head west, all the way until hitting McCook County. This road will take you past a number of wet meadows, wetlands, and deeper open water lakes, and cuts right through the middle of Weisensee Slough, one of my favorite places to bird (see point 1 on the map on the right). I then visit Lake Vermilion (eastern McCook County, points 2 and 6) before heading back east on 261st Avenue (point 5), which also passes through a number of "birdy" wetlands. I usually conclude a visit to the area by going to Beaver Lake near Humboldt (point 4) and/or Grass Lake (point 3). Geographic Coordinates: 43.57295° N, 97.12705° W (coordinate for Weisensee Slough in extreme western Minnehaha County). The western part of Minnehaha County, unlike the eastern half, is part of the "Prairie Potholes" area of the northern Great Plains, formerly glaciated lands that are sprinkled with depressional wetlands. While many wetlands have been drained in the Prairie Potholes, many still remain in this area. Like many Prairie Pothole wetlands, it's a dynamic system, with wetland size and condition dependent upon season and moisture over the proceeding months and years. Some are relatively permanent weltands, many of which may have open water to a moderate depth, while others are transitory wetlands. With the historical landscape of the area, many areas are poorly drained, and even grasslands and pastures may temporarily turn into marshy meadows during wet times of the year. Several larger, permanent bodies of open water are also present in the area, including the Lake Vermilion near the border of Minnehaha and McCook counties. 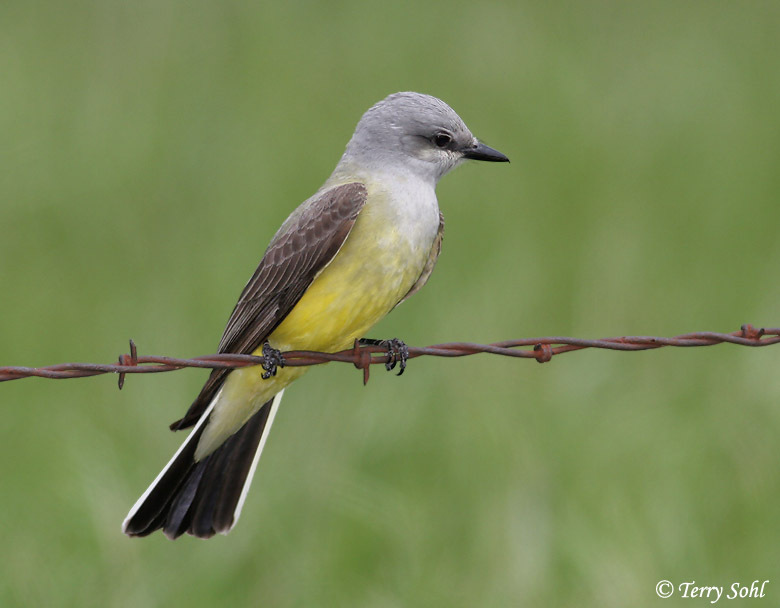 Birding conditions change with the season and recent climate. For example, one of my favorite birding locations in the region is Weisensee Slough in the far western part of the county (Point 1 above). During wet periods, Weisensee slough has extensive open water, attracting diving ducks, Pelicans, cormorants, and other species that typically require deeper water. Many years, Weisensee is a mix of shallow open water habitats, with vast expanses of cattails/bulrushes. There have also been years where Weisensee is almost completely dry, with wetland vegetation dying and being temporarily replaced by upland weeds and grasses. 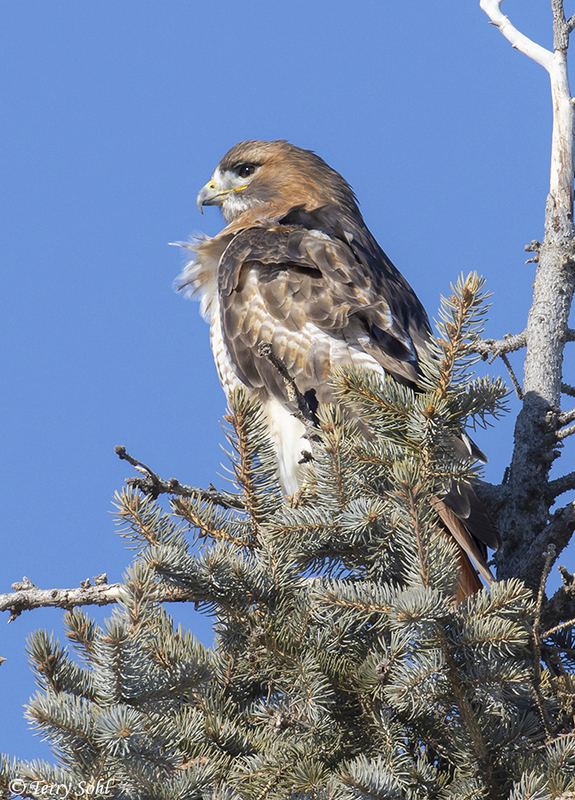 Because of variable wetland conditions from year to year (and season to season), the birding can vary dramatically. During wet springs when wetlands expand onto the surrounding landscape, there can be large expanses of open shallow water and mudflats, and birding for shorebirds can be spectacular. 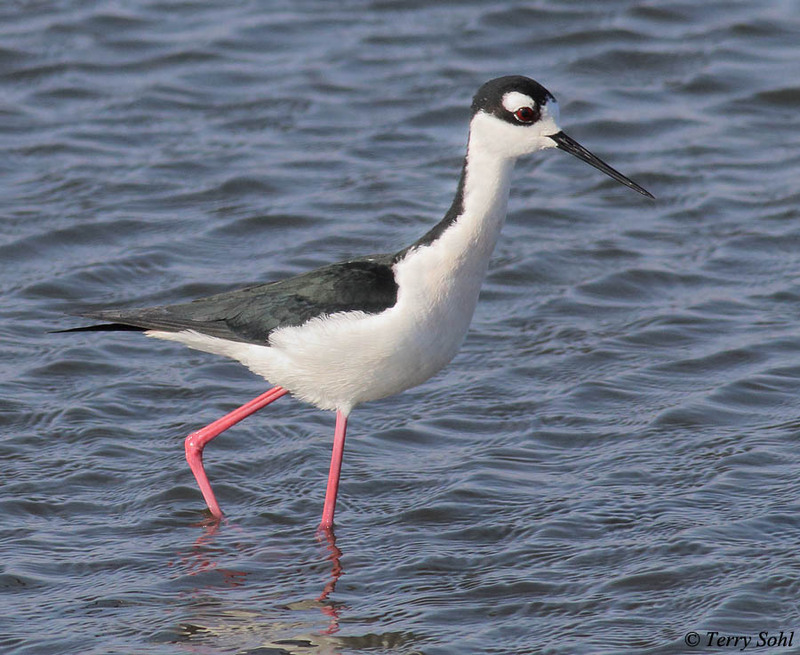 During prolonged wet periods, the open water is good for ducks, other waterfowl, and gulls and terns. In very dry periods, wetland and open water species may be restricted to the larger, permanent water bodies in the area. As noted in to "Directions" section, I tend to drive the same roads and visit some of the same locations during any trip to the prairie potholes west of Sioux Falls. One of my favorite birding locations anywhere in the Sioux Falls area is Weisensee Slough in far western Minnehaha County (point 1 above, also labeled as "Englehardt Slough" on some maps). It's one of the larger, shallow, dynamic wetlands in the area, with water levels that fluctuate dramatically between seasons. With a gravel road (261st street) cutting through the heart of Weisensee, it's also one of the most accessible Prairie Pothole wetlands, with wonderful views often present right from the road. Just to the west of Weisensee, in far eastern McCook County, is Lake Vermillion (Point 2 and Point 6). The large reservoir is popular with fishermen and boaters, and with a lot of activity in the summer months, the main lake often isn't great for birding. 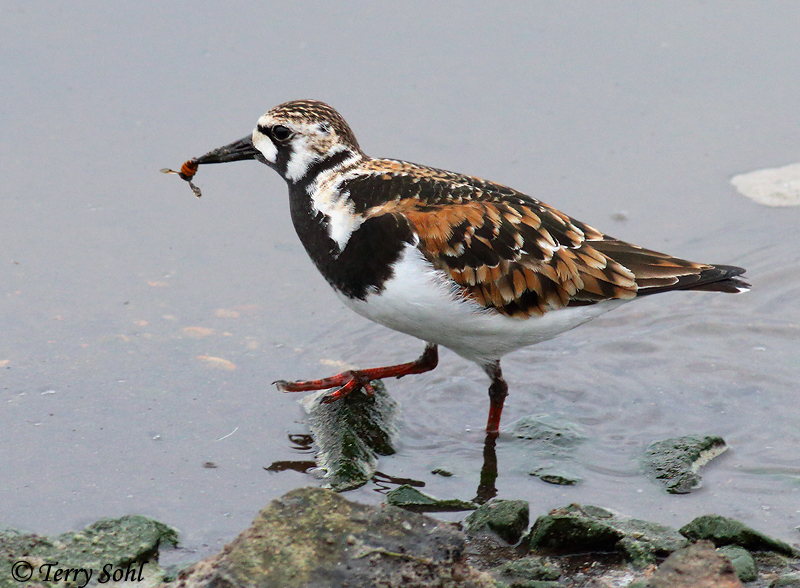 However, two areas on Lake Vermillion can be wonderful for birds. The first is the small spillway on the south end of the reservoir (Point 2), feeding into the east fork of the Vermillion River. In the spring when the water is often high and flows are in the spillway are high, it often attracts a lot of birds. On the other, north end of Lake Vermillion where the water enters the reservoir (point 6), the habitat is characterized by extensive cattail marshes and shallow water habitat. It's a little used part of the reservoir compared to the area closer to the dam, but is often very birdy. It's a wonderful area to explore with a kayak. Once I leave the Lake Vermillion area, I often take 261st street towards the east (Point 5). Highlight this specific road is really a proxy for noting what most gravel roads are like in this area...quiet gravel roads that pass by a number of wetlands and small ponds. Along this road near highway 19 are multiple small wetlands that have been very good for birding over the years. Unlike the large Weisensee slough, these are smaller and often ephemeral, but with the same extreme water fluctuations that can bring different types of birds dependent upon the current condition. Continuing onward on 261st street, the road meets paved 459th avenue. Heading south from here, the road curves along the western edge of Grass Lake (Point 3). This is one of the larger permanent water bodies in the area, with deeper water than most of the ephemeral wetlands. Cattail and other wetland vegetation is less prevalent along the margins than in most water bodies here, but that deeper water is excellent for holding birds such as diving ducks, cormorants, and pelicans. One final location I sometimes visit is Beaver Lake, just southeast of the town of Humboldt (point 4). It's another larger lake characterized by deeper open water, and holds similar birds as does Grass Lake. While I've often seen very high numbers of waterfowl and other water-associated birds, access is an issue. A road goes along the south edge of the lake for a short stretch, and highway 38 goes near the north edge, but it's a more difficult site for getting really close looks at birds. Note along the south road, there's a thin strip of trees between the road and the lake that often are great for holding songbirds. 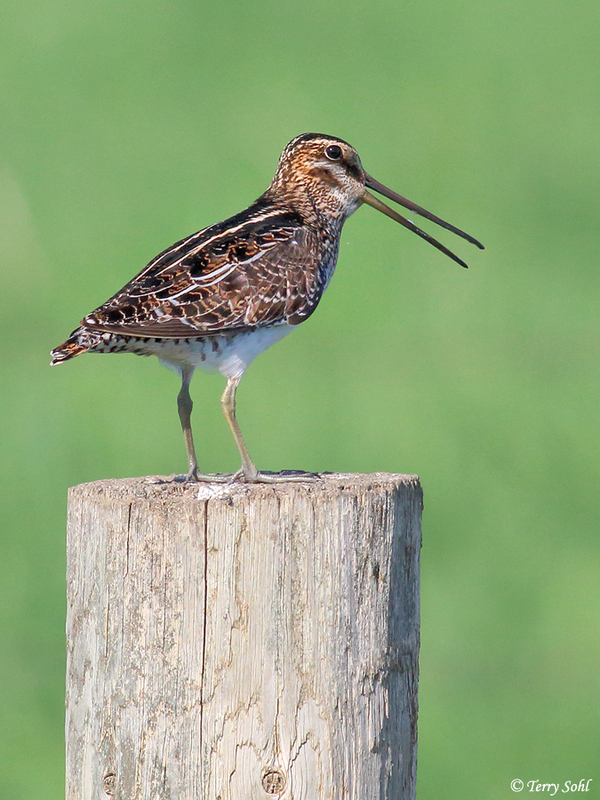 Most of the land around the scattered wetlands and ponds is cultivated cropland, with limited birding potential. However, there are a number of waterfowl production areas with large grassland areas surrounding wetlands, areas that can be quite good for prairie species. Wetland and aquatic species are the main attraction. 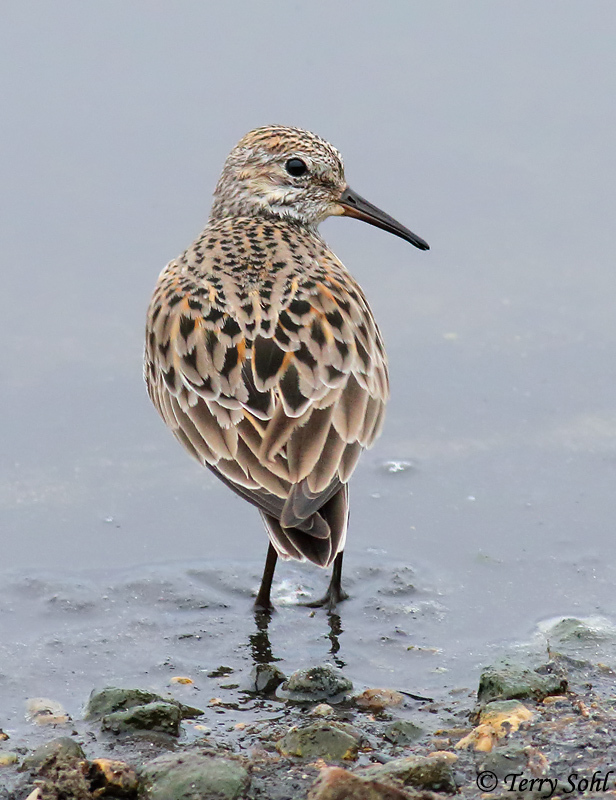 After a snowy winter when ample meltwater has fed the wetlands of the area, the shorebird migration in spring can be absolutely spectacular. Species such as American Avocets that are sometimes difficult to find near Sioux Falls are often at Weisensee Slough and other wetlands in the area during the spring months. 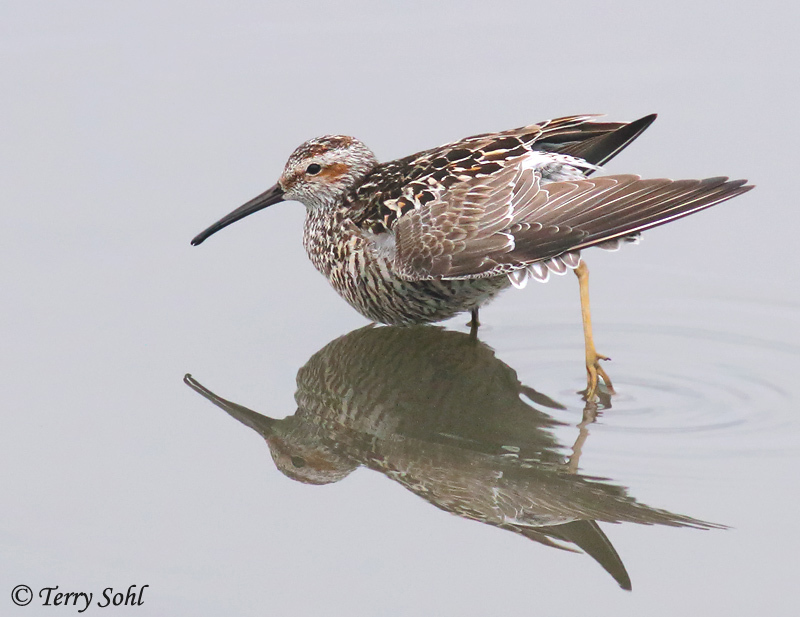 The "typical" migrants that are often seen are Baird's Sandpipers, Least Sandpipers, Semipalmated Sandpipers, Long-billed Dowitchers, Pectoral Sandpipers, Greater and Lesser Yellowlegs, Wilson's Phalarope, Dunlin, and several others. 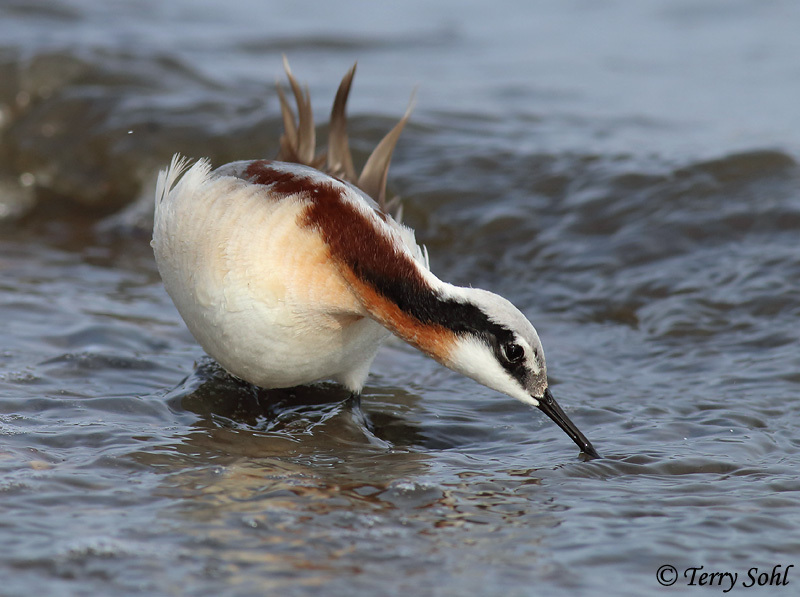 However, other species seen here include both Marbled and Hudsonian Godwits, Ruddy Turnstones, Piping Plover, and Buff-breasted Sandpiper..
All of the expected waterfowl for eastern South Dakota can potentially be found here. 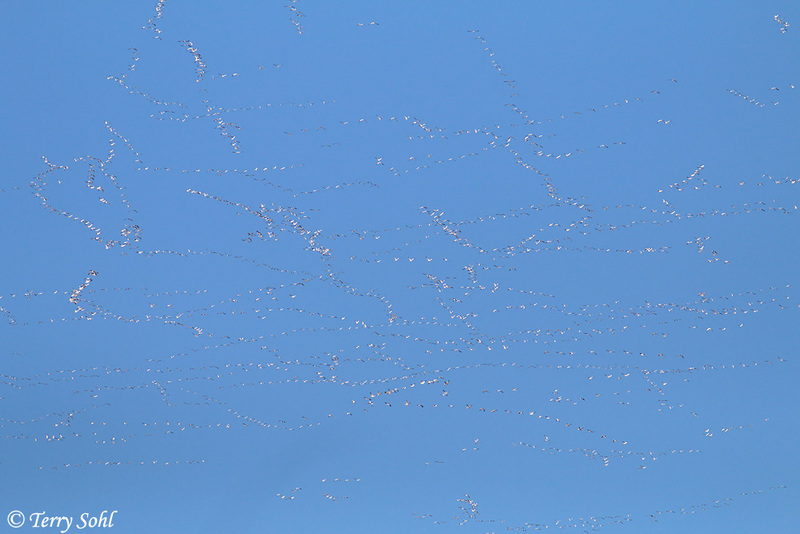 The area is a prime location to see migrating geese, with Snow Geese, Greater White-fronted Geese, and Ross's Geese (along with the ever present Canada Goose) all coming through in good (to astounding) numbers each spring. 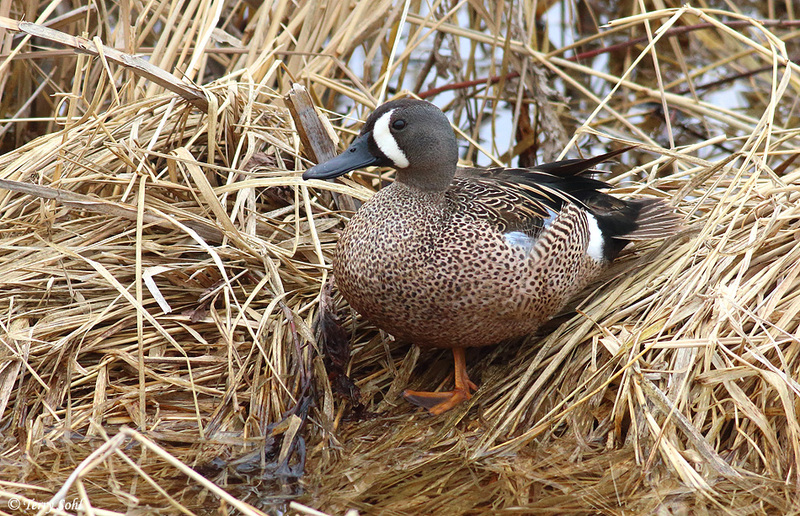 With shallow water habitat in much of the area, dabbling ducks are widespread from spring through fall (dependent upon species), while diving ducks are present on the deeper water bodies. Areas such as Weisensee Slough can have incredibly high concentrations of Ruddy Ducks, Redhead, Northern Shovelers, and Blue-winged Teal, Pied-billed Grebe are very common, and both Horned and Eared Grebe are often seen. Western Grebe are less common, as they typically prefer deeper waters, but they are sometimes seen on Grass Lake and Beaver Lake. The latter two lakes are also water bodies where I've seen migrating Common Loons on multiple occasions. 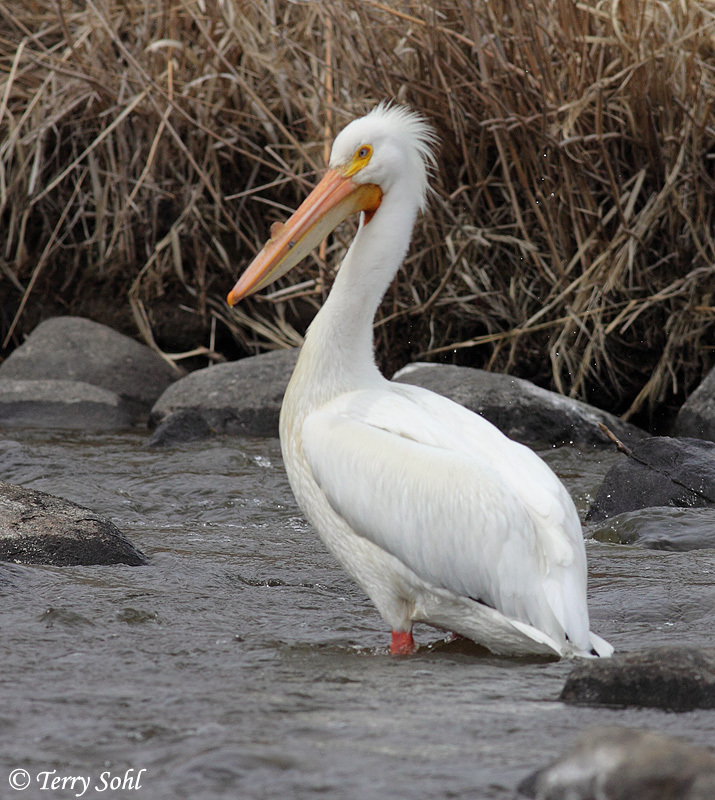 Wading birds and other large water birds are often found in the Prairie Potholes. Great Egrets and Snowy Egrets are regularly seen here, while Cattle Egrets have occasionally been seen. 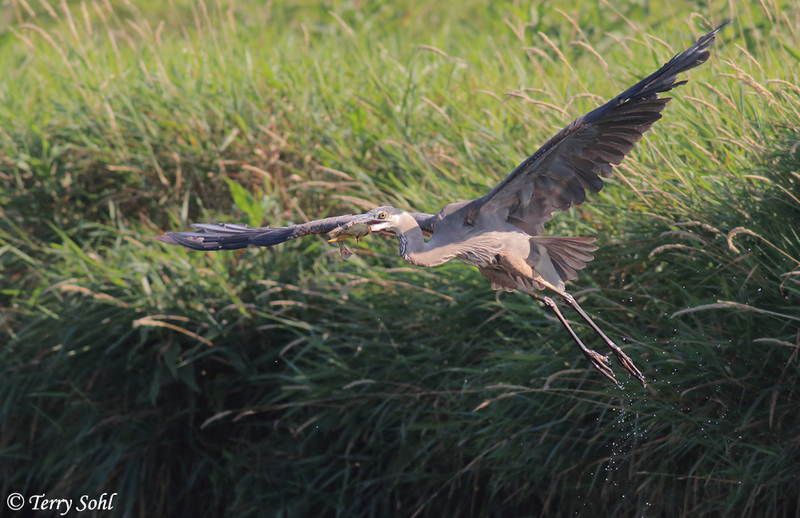 Great Blue Herons and Green Heron are common. 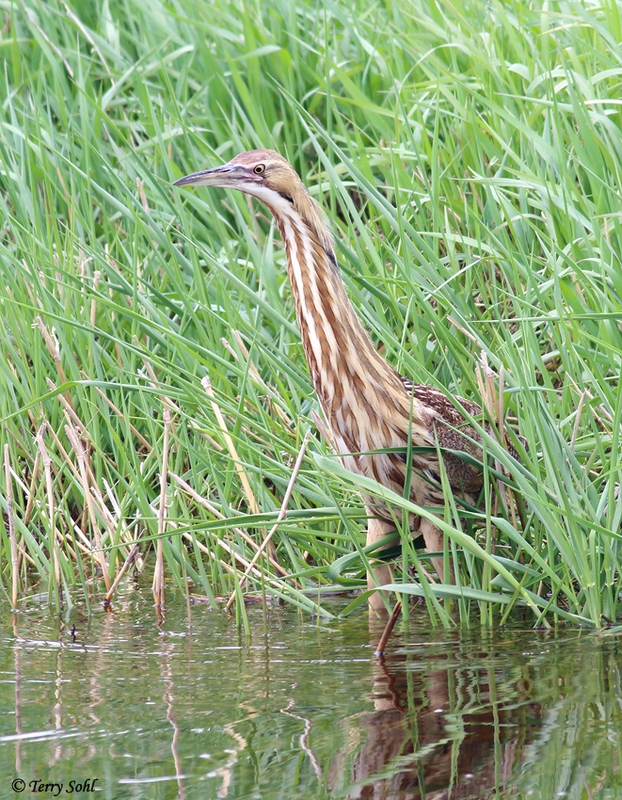 American Bittern and Black-crowned Night-herons may also be common at times, but are more difficult to see in the vast cattail expanses in this area. White-faced Ibis (one of my favorites) are also seen on occasion. Gulls and Terns are seen regularly during migration. Ring-billed Gulls are the omni-present gull in South Dakota, and Franklin's and Bonaparte's Gulls are also regular and common migrants. 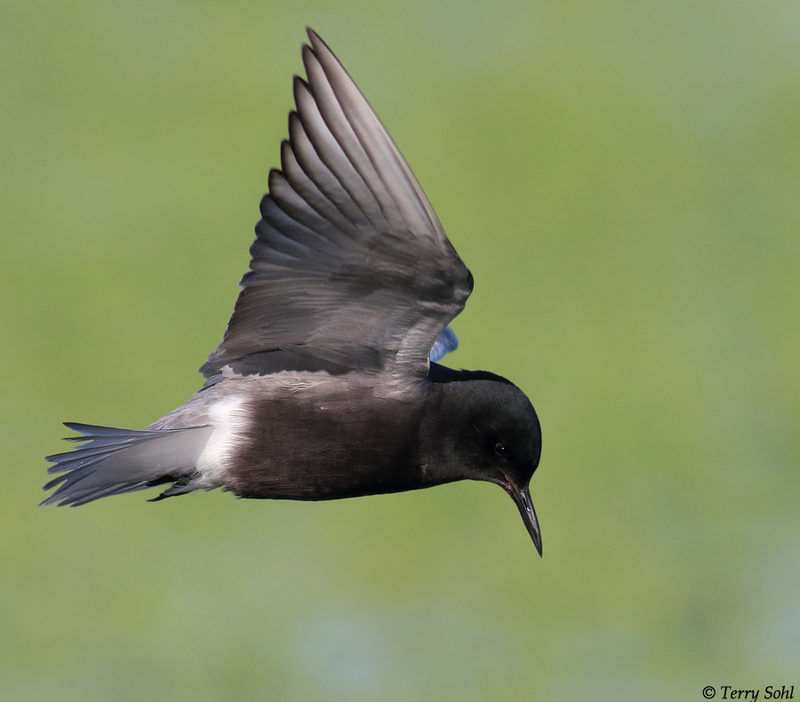 Black Terns show up around mid-May and sometimes breed here, with Common and Forster's Terns migrating through the area. Double-crested Cormorants patrol all the deeper water bodies. The extensive cattail marshes found throughout this area attract the usual host of passerines. 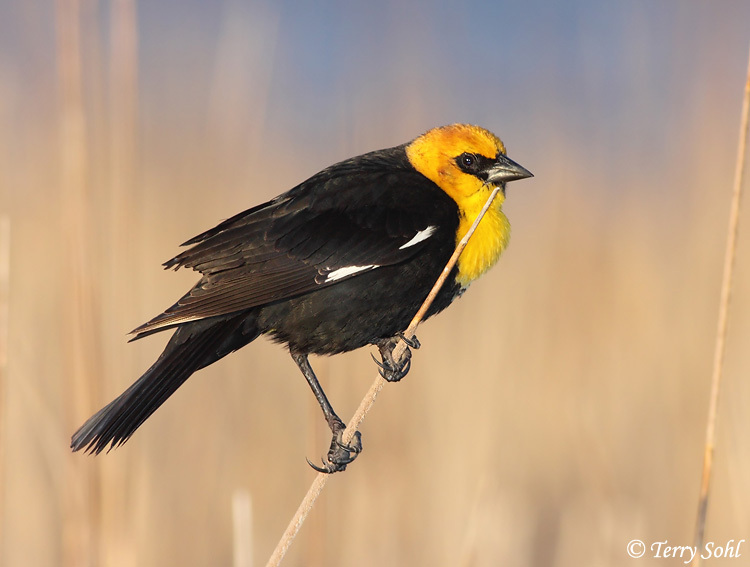 Yellow-headed Blackbirds (and the ever present Red-winged Blackbirds) are abundant in western Minnehaha County, with one or both species found in practically every patch of cattails. 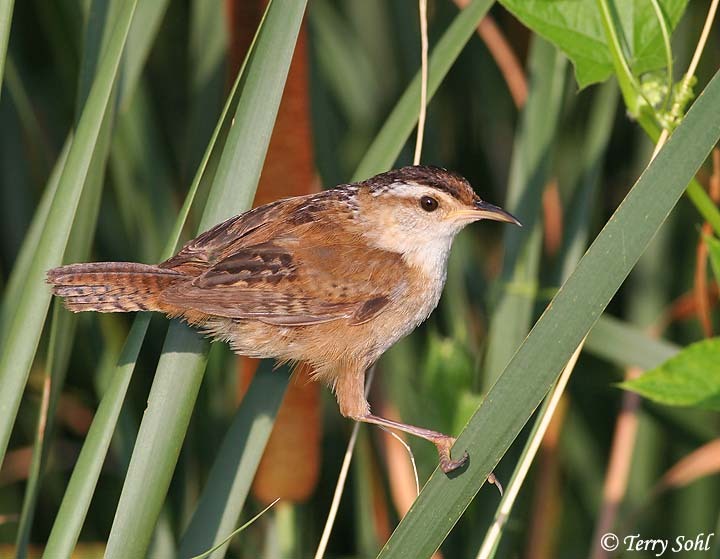 Marsh Wrens are also abundant, while Sedge Wrens are often found in the wet grassy meadows that abut many of the cattail marshes. American Coots are...everywhere. 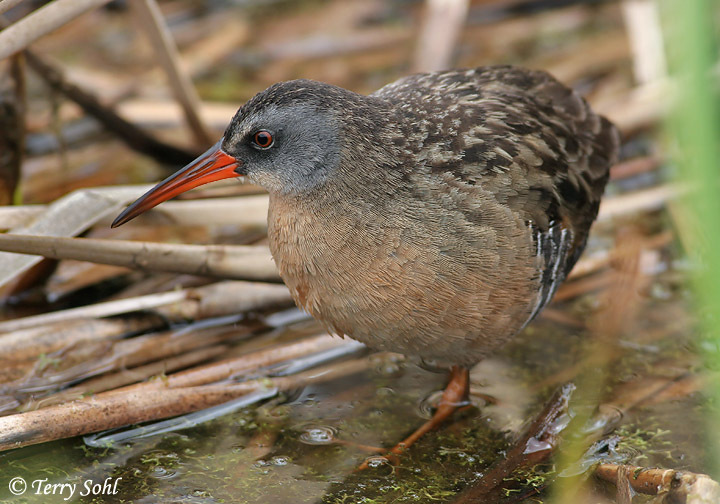 Both Sora and Virginia Rail are common, but difficult to observe. While not the primary target species when I visit the area, the upland habitats can also hold good numbers of birds, particularly in around some of the more extensive grassland patches. Upland Sandpipers aren't a common breeding species in Minnehaha County, given all the cropland, but they can sometimes be found here. I rarely see Gray Partridge, yet most of the sightings I've had have been in western Minnehaha County. With the farmsteads and stands of old trees, Red-headed Woodpeckers are commonly seen, as are Brown Thrasher. 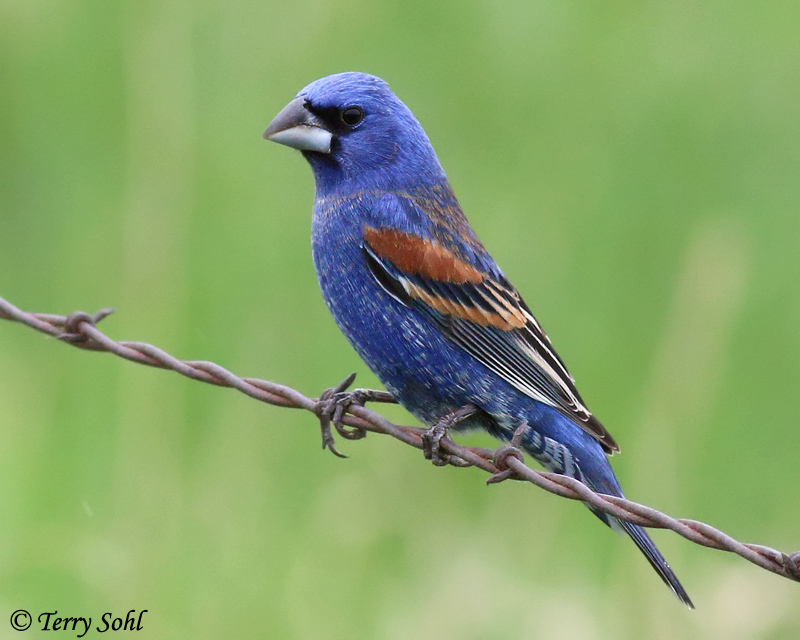 It's been a hotspot for Blue Grosbeaks for me, and Eastern Bluebirds are also here. Finally, be sure to check the wetland edges and adjacent wet meadows for the elusive Baird's and Nelson's Sparrows during migration.